Lap band surgery patients, who fail to get the desired results in the preliminary surgical procedure for weight loss, may require revision surgery. The various revision options available for them are conversion of lap band to gastric bypass, gastric sleeve or duodenal switch. If you cannot afford the expenses of redoing your gastric banding surgery, you may consider lap band revision to gastric sleeve in Tijuana, Mexico. Bariatric Surgery World works with bariatric surgeons and hospitals to provide different forms of weight loss surgery in Mexico and other countries such as India, Belgium and Costa Rica. Cost: The cost of lap band revision to gastric sleeve in Mexico is only a fraction of the American prices. Please submit the estimate request form on the right for a detailed quote. Is not able to lose sufficient weight. Has regained some or all of the lost weight. Is suffering from complications from the initial procedure. Surgery is not recommended if the unsatisfactory weight loss results are due to the patients’ inability to comply with the required lifestyle changes. In such cases, they will be advised to follow the required diet and exercise program. Weight regain may be due to stretching of the stomach pouch over the period of time. Post gastric banding surgery, the patient might suffer from complications such as band slippage, band erosion, infection of the port, etc. Such problems require removal of the band. Willing patients can go for revision surgery i.e. 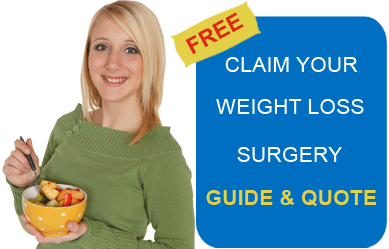 converting failed lap band into gastric sleeve or any other form as recommended by a surgeon. A research report named “Revisional Bariatric Surgery,” published in February 2010 issue of ‘Archives of Surgery’ magazine states that revision surgeries are associated with higher risks of perioperative complications compared to the initial procedure. However, these are safe and effective when performed at experienced centers. Complete medical expenses that includes fee of surgeon, radiologist and anesthesiologist, cost of pre and post operative tests, etc. Required hospital stay from the patient and one accompanying guest. Assistance in finding an affordable accommodation near the hospital. Private transportation between airport to hospital or hotel. Private transportation for all medical purposes. Assistance of a destination manager. Copy of medical reports in English. Assistance with tourism related information. Airport of Tijuana is General Abelardo L. Rodtríguez International Airport (TIJ). Flight to San Diego International Airport (SAN) can be a more convenient option for people from USA. Complimentary rides are offered from airports to the hospital. Passport is required. Visa is not required by citizens of USA and Canada. For other countries, please contact us for assistance. Dialing code: Mexico country code: 52, city code of Tijuana is 664. Other than lap band revision to gastric sleeve surgery in Tijuana, Mexico, BSW also offers the revision surgery- lap band to gastric sleeve in Puerto Vallarta, Guadalajara, Mexicali, Hermosillo, Monterrey, and Ciudad Juarez. Bariatric Surgery World facilitates lap band revision to gastric sleeve in Tijuana at singnificantly low costs. Fill out the quote request form on the right for more information.